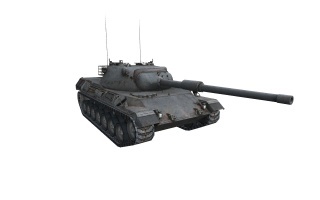 Der Leopard 1 ist ein deutscher mittlerer Panzer der Stufe 10. 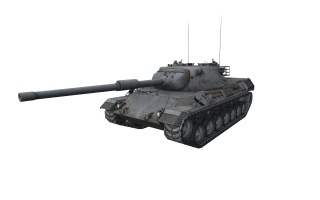 The Leopard 1 is the final advancement of medium tank tactics; with speed rivaling that of the Bat Chatillon 25 t, excellent View Range and deadly gun with good depression and a decent rate of fire, this tank is meant to never miss a shot, it's so versatile that along with sniping it can also take on passive scouting, flanking, support, and on occasion brawling. Of course, like all tanks, it has a downside: the armor is almost as weak as the Bat Chatillon 25 t, so even HE splashes will cripple it severely. Staying mobile is a key to this tank, while only staying still to shoot and then moving right away. Also, the ammunition Rack is stored in the front next to the driver, so it will get hit often if not careful. Der Leopard 1 markiert das Ende seiner Linie deutscher mittlerer Panzer. The Leopard 1 can fill two main roles to great effectiveness. One's first thought when looking at the Leopard one is the role of a sniper, and it is an excellent sniper indeed. Boasting the most accurate gun in the game(Until the replacement of the end tier autoloader god, the wte100, with the grille 15), it combines high accuracy, good alpha damage, and good DPM, all on a highly mobile, fairly well camouflaged tank. The Leo 1 can quickly position itself in advantageous sniping positions, positions which also often make great use of its very high 410m view range (only the M48A1 Patton has it beat in this category). All of this rolled into a single package makes it a threat from any distance, able to reliably hit weak points with its high penetration 105mm cannon, remain hidden while doing so, and re-position quickly to either get a new shot or retreat to a safe distance. In this role and for the purposes of spotting, it is highly recommended to run Coated Optics, most likely in place of Vents. The other role it excels at is that of a supporting flanker. It hasn't the armor to brawl or lead a charge on its own, but it has the acceleration, maneuverability, and top speed to quickly flank occupied tanks and shoot them in the rear with its good rate of fire. This of course puts you more at risk for taking damage, especially module damage, so you must be careful and weigh up the risks before proceeding. 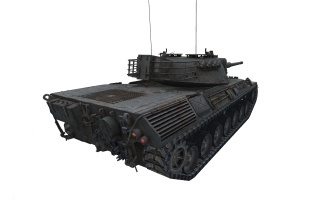 Gun Rammer and Vertical Stabilizer are, as usual essential choices while optics are the best choice for the third equipment slot as it allows the Leopard to scout if the situation requires, win vision wars against other lights/mediums and to spot heavies outside of their view range, allowing you to snipe with impunity. Vents can be taken if one wishes but are a second class choice to due their minimal effect (a 2.2% bonus to everything, on the leopard there is no tangible benefit). The Leopard is a main battle tank designed and produced in West Germany that first entered service in 1965. 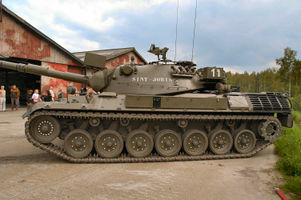 Developed in an era when HEAT warheads were thought to make conventional heavy armour of limited value, the Leopard focused on firepower in the form of the German-built version of the British L7 105-mm gun, and improved cross-country performance that was unmatched by other designs of the era. The design started as a collaborative project between Germany and France in the 1950s, but the partnership ended and the final design was ordered by the Bundeswehr, production starting in 1965. In total 6,485 Leopard tanks have been built, of which 4,744 were battle tanks and 1741 were utility and anti-aircraft variants, not including eighty prototypes and pre-series vehicles. The Leopard quickly became a standard of European forces, and eventually served as the main battle tank in over a dozen countries worldwide. Since 1990, the Leopard 1 has gradually been relegated to secondary roles in most armies. In the German Army, the Leopard 1 MBTs have been phased out in 2003 while Leopard 1 derived vehicles are still widely used. The Leopard 2 MBTs have taken over the MBT role. 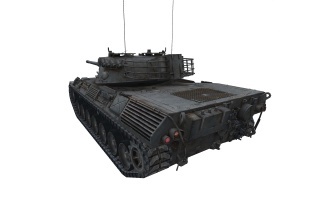 Leopard hulls have been re-used in a wide variety of roles.